1. 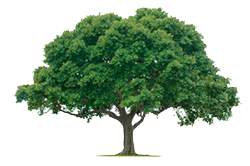 An average size tree produces enough oxygen in one year to keep a family of four breathing. 2. Three trees planted in the right place around buildings can cut air-conditioning costs up to 50 percent. 3. Trees increase the value of property. Houses surrounded by trees sell for 18-25 percent higher than houses with no trees. 4. Trees generate jobs and contribute raw materials for buildings, newspapers, books and more than 15,000 other forest products. Trees are renewable, biodegradable and recyclable. Wood by-products become such products as vitamins, plastics, vanilla flavoring, photographic film, toothpaste and medicines. 5. 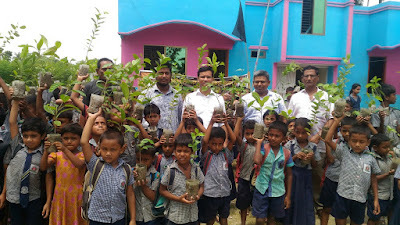 By planting 20 million trees, the earth and its people will be provided with 260 million more tons of oxygen. Those same 20 million trees will remove 10 million tons of CO2. 6. Trees provide shelter and food for wildlife such as birds, squirrels, and bugs. Groves of trees provide food and cover for larger mammals, such as raccoons and deer. 7. Trees make people feel good. Workers are more productive when they see trees along their commute routes and from their office windows. 8. Hospital patients who have a view of trees heal faster, use fewer pain medications, and leave the hospital sooner than patients with a view of a brick wall. Patients with a view of trees spend 8 percent fewer days in the hospital. 9. Consumers are willing to spend more money in shopping districts with trees. They are willing to pay more for products purchased in a shopping district with trees. Those same shoppers also say they are willing to stay longer and rate the products and stores as higher quality in a shopping district with the trees. 10. Trees in the landscape relax us, lower heart rates, and reduce stress.